Paired with the AISYS 4.1 optical system and an LCOS panel that enhances reflectivity, the XEED WUX6010 is capable of projecting images in accurate, rich, and vivid colours, with increased brightness. With a zoom ratio of 1.5x with the Standard Zoom lens RS-IL01ST, it can project a screen size of 40 to 600 inches, providing users with great versatility in a range of scenarios, from small-sized rooms to halls and auditoriums. The XEED WUX6010 offers an impressive 6000 lumens brightness rating and delivers class-leading "Eco" performance with its advanced LCOS panel, which minimises light wastage through diffraction. Thus, the projector is able to achieve efficient power consumption of about 0.078W/lm – nearly half the power required by competitor models1. Given its efficiency and energy-saving features, the XEED WUX6010 passes the requirements of the eco design standard also known as the Energy-related Product lot 32. The LCOS panel of the XEED WUX6010 is capable of withstanding up to 100 hours of continuous projection without experiencing "burn-in"3. Designed for a wide range of applications, the XEED WUX6010 can be installed easily to suit any environment – for example, pointed downwards for floor projections, or upwards for ceiling projections. Once installed, a built-in motorised lens shift allows users to adjust the positioning of the lens with a remote control. The XEED WUX6010 is also equipped with a four-point keystone correction feature that automatically adjusts the projection image to compensate for distortions. 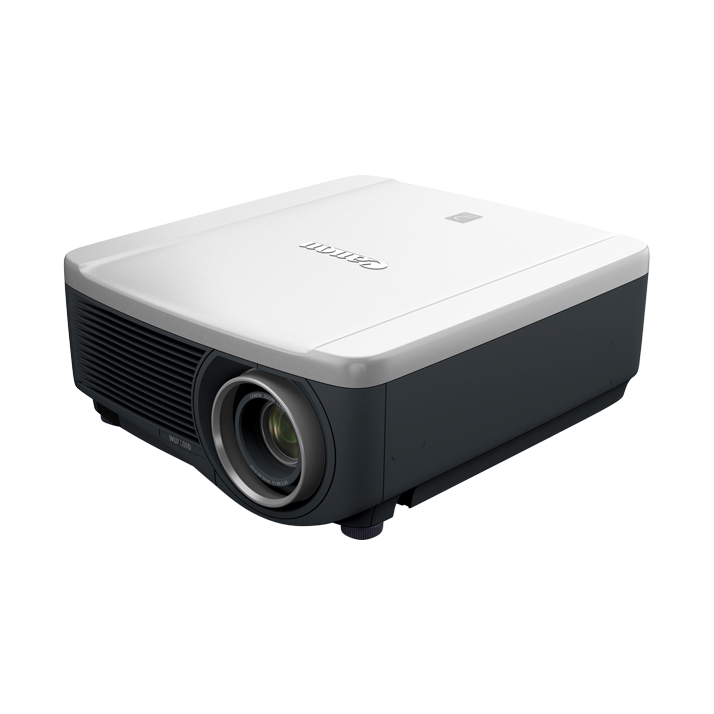 This helps retain an accurate aspect ratio even when operating in tight spaces that may require projectors to be positioned diagonally. While keystone-corrected images are usually affected by moiré, grid-like patterns formed on the projected image, the XEED WUX6010 is capable of managing this effect through its newly developed imaging engine. This drastically reduces resolution-loss and moiré, ensuring the projection retains its original image quality and clarity. The XEED WUX6010 also supports the HDBaseT™ standard, which allows video and audio content to be transmitted to a projector situated some distance away via a LAN cable. The device is also capable of projecting from two separate sources simultaneously with its Picture by Picture function. When used in an environment that requires a projection brighter than 6000 lumens, two or more projectors can be "stacked" to provide increased brightness, with their separate projections combined and superimposed onto a single screen. This provides a cost-effective solution for larger-scale installations, as projectors with two-fold brightness usually come at a significantly higher cost. The Edge Blending function can also be activated to reduce the brightness in overlapping areas, so that the two projections blend seamlessly without causing excessive brightness in the centre of the image. For added convenience and flexibility, users are able to choose from five different Canon lenses, ranging from short fixed lens to ultra-long zoom lens, with minimal difference in brightness and external appearance. With these five changeable lenses, the WUX6010 is capable of supporting projections for smaller venues such as conference rooms, to larges spaces such as auditoriums. 1 Competitor's DLP projector offering 6,000 lumens has a power consumption of about 141W/lm. 2 Eco design requirements related to projectors, DVD players, and game devices. 3 A phenomenon that results in a bright image being 'ghosted in' over dark patterns on the LCOS panel.